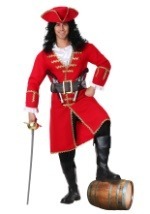 This authentic pirate costume is ready for the high seas! 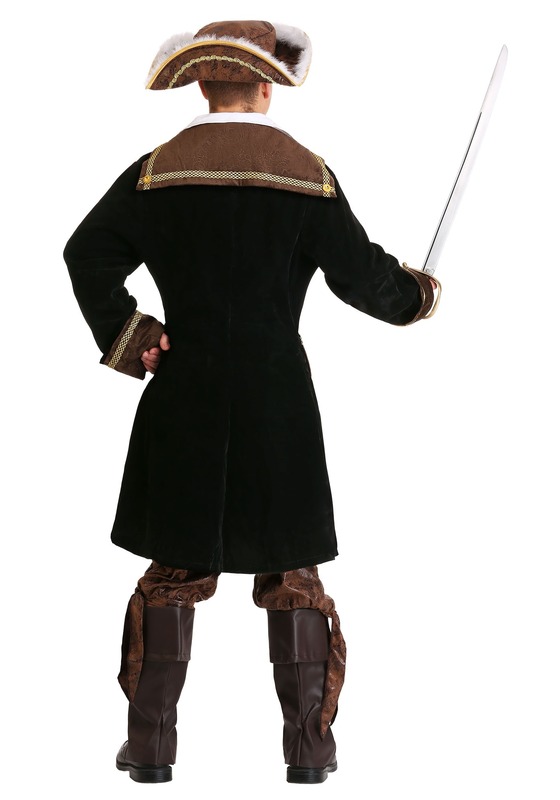 It includes a black velvet coat with intricately detailed gold trimming and buttons. 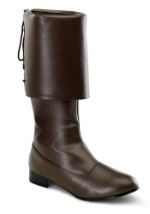 The jacket also has brown, detailed patterns on the cuffs and collar to match. 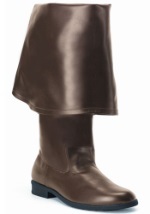 Brown, knee-length pants with an elastic waistband and ties at the bottom are also included. 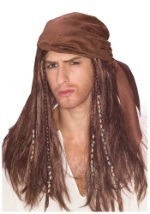 The "V" cut undershirt is white and 100% cotton. 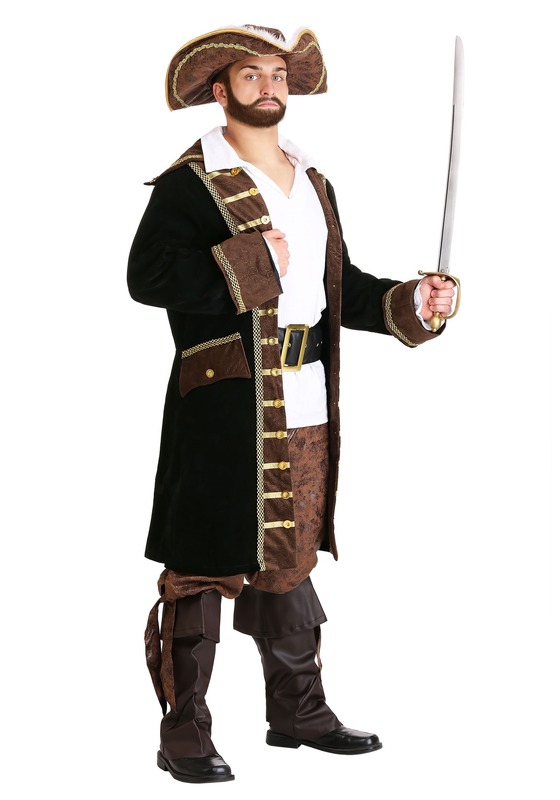 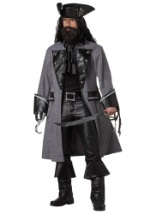 The look is completed with the black belt and gold colored buckle, brown boot covers and tricorn pirate hat. 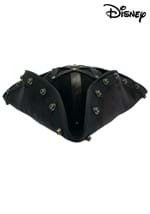 The hat is brown and lined with gold trim and white marabou feathers. 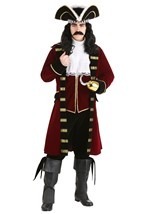 This deluxe costume is beautifully detailed and perfect for Halloween. 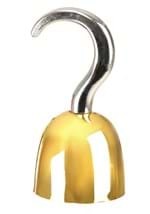 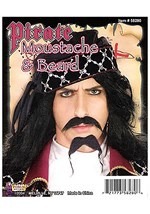 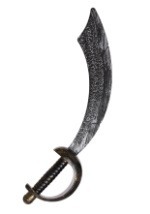 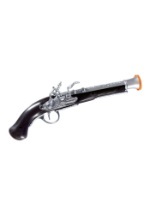 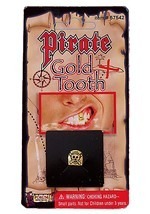 Check out our pirate accessories, like a pirate sword and eye patch.